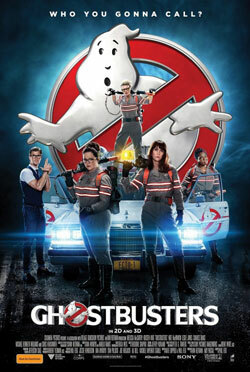 Noel Gallagher sang “Where Did It All Go Wrong”, a song that could be attributed to the ill-fated Ghostbusters reboot. 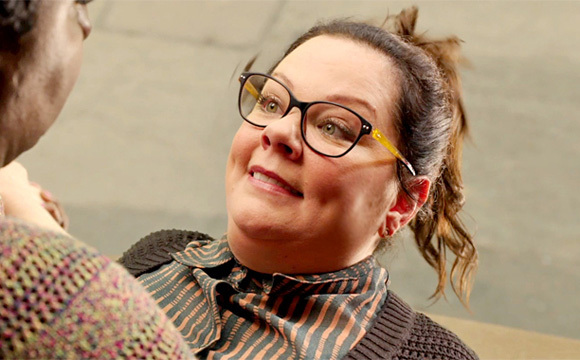 After the powers-that-be discarded the idea of producing a sequel with the original cast, director-of-the-moment Paul Feig grabbed his Bridesmaids stars Melissa McCarthy and Kristen Wiig for a reboot centred around an all-female ghost-hunting team. The announcement of the casting set the internet on fire, and the film appeared doomed before it had entered principle photography. But some of us maintained an open mind. Even those who’d class 1984’s comedy classic Ghostbusters as one of their favourite films. On seeing the finished product, 2016’s Ghostbusters should not be derided for switching the genders of characters so in-tune with pop culture, more the wasted opportunity to revitalise a franchise with feminine overtures. 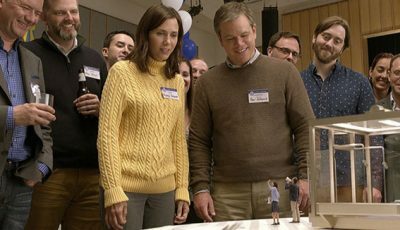 There’s no reason why this couldn’t work, especially with a huge chunk of the creative team behind the appealingly funny and intelligent Bridesmaids, but this Feig-Wiig-McCarthy effort is a huge disappointment. Apart from the spirited performance of Kate McKinnon, a real breakout turn for the talented comic actor, and an excellent score composed by Theodore Shapiro, Ghostbusters is its own worst enemy. It’s a film that advocates female-fronted action-comedy, then proceeds to present paper-thin characters whose gender matters little more than the silly plot. It’s as if Feig and co, acknowledging backlash to the reboot, are spending the entirety of its runtime defending the decision to recharge the franchise. And, it has to be said, have a dig at its premature critics. 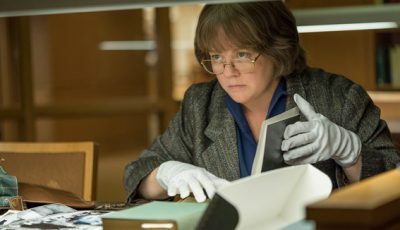 “You know, it’s really easy to just sit there and be the naysayer, when you don’t actually do anything,” says McCarthy’s Dr. Abby Yates to a paranormal sceptic eager to debunk the ghost-busting team’s efforts. She could almost be speaking to the fanboys sitting behind their computers plotting their next piece of hate speech. That didn’t sit well with me. I’m one of those fanboys sans the narcissistic rage and sense of male privilege and didn’t welcome the brief but calculated lecture. I’m not sure Bill Murray did either. He’s the sceptic in question and his surprising cameo, given his reticence to join Dan Aykroyd for a sequel starring the original cast, is one of the film’s genuine low points. The initial surprise of Murray’s brief appearance diminishes as you realise he’s been given a low rent bit-part. Don’t expect the brilliance of Zombieland. Murray looks disinterested, his half-hearted performance a middle finger salute to the whole shambolic affair. 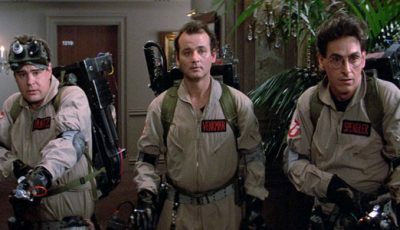 For the odd moment of inspiration – the joke referencing the unaffordable rental cost of the original Ghostbusters’ home base and Dan Aykroyd’s wonderful, fleeting appearance as a New York cabbie – are buried beneath underwritten characters, silly slapstick, and cartoonish special effects. 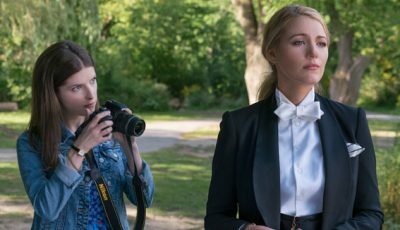 Many of the film’s gags fall flat like the inclusion of Chris Hemsworth’s ditzy receptionist, a supposed reversal of the dumb blonde motif with Wiig’s Dr. Erin Gilbert ogling his every move. It’s an example of how writers Feig and Katie Dippold hamper the presumably high IQ characters with an inability to evoke any sense of intelligence. That imbalance makes Hemsworth’s Kevin Beckman an odd distraction instead of a subversive treat. The film, also known by its longer title Ghostbusters: Answer The Call, suffers most from its script. Feig and Dippold shouldn’t be criticised for making the Ghostbusters troupe women but a preoccupation with turning this recognisable franchise into a product for the Marvel superhero age. The villain is as weak and forgettable as those characters served with the task of protecting the city from apocalypse with only McKinnon’s Holtzmann seemingly knowing what she’s doing. And, in establishing the scale of the stakes ahead of giving the characters time to properly come alive, we’re left with empty vessels and Leslie Jones shouting (a lot). Feig and Dippold’s self-reflexive approach paints the film with artificial lines which are underlined by the inorganic cameos from the cast of 1984’s Ghostbusters (apart from Aykroyd’s, of course). Their reliance on slapstick also detracts from their attempts to balance the comedy with horror, any potential scares diluted by cartoonish CGI. A couple of good gags, McKinnon’s break-out performance and a genuinely good score aside, 2016’s Ghostbusters isn’t so much a wasted opportunity as a bad idea that unsurprisingly meets expectation. Given Hollywood seems to want to reboot Spider-man every few years, perhaps it’ll give Ghostbusters a complete overhaul for its next outing. Or, maybe, it’ll leave well alone. Excellent review Dan. You nailed pretty much how i feel aboug it. The talent involved behind the scenes and in front of the camera have all made some good films in the past. But the original Ghostbusters had three giants of comedy in it plus Rick Moranis who was also pretty well known for comedy and Sigourney Weaver. You had Ivan Reitman at the height of his career and Ghostbusters Just did everything right. It was funny and intelligent and had terrific performances and fantastic Direction. The new Ghostbusters in my opinion felt half-assed and it did nothing to expand on the universe and just really tried to capitalize on the name. I didn’t find it funny at all. In fact the only time I laughed in the film was in the first 5 minutes when they made the joke about PT Barnum and Bailey deciding to enslave elephants in that room right there. The rest of the joke fell flat in my opinion. So thank you for a wonderful review and as I said I feel exactly the way you do. I find myself agreeing with much of this. It wasn’t a film that couldn’t work handsomely so it was a missed opportunity.